Seminar Transcription Services | Fast, Accurate & Only $1.04/min. If you have seminar audio or video recordings, you can have us transcribe them and make your them much more accessible to your audience. We have a lot of experience in transcribing seminars. Why Should You Choose GoTranscript? We have a lot of talented and professional transcriptionists who mainly transcribe seminars. They have tons of experience with recordings that contain multiple speakers and intricate vocabulary. What is more, we offer prices that are cheaper than the prices of many other companies while offering you exceptional quality and quick turnaround time. Why Should You Transcribe Seminars? Make the seminars accessible to people who have hearing disabilities or those who simply cannot listen at the moment, for example, at a hospital. You can collect useful data from your seminars when you have the written version - it is much more convenient than constantly stopping and rewinding the recording. Transcriptions of seminars are needed for the storage of accurate information. 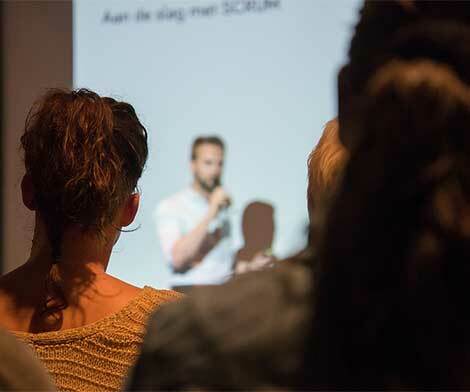 Some seminars can provide you with extremely valuable insights or information, so having the transcriptions can do a lot of good. Our transcriptionists are proud of their high-quality performance and are ready to help you with the seminar audio recordings you send to us. GoTranscript can offer you near 100% quality as we have only professionals working for us. More about our accuracy. Below, you can clearly see our transcription rates. We are strongly client-oriented and use no shady methods of calculating the prices of our services, which are usually a lot cheaper than those of other companies. Learn more.